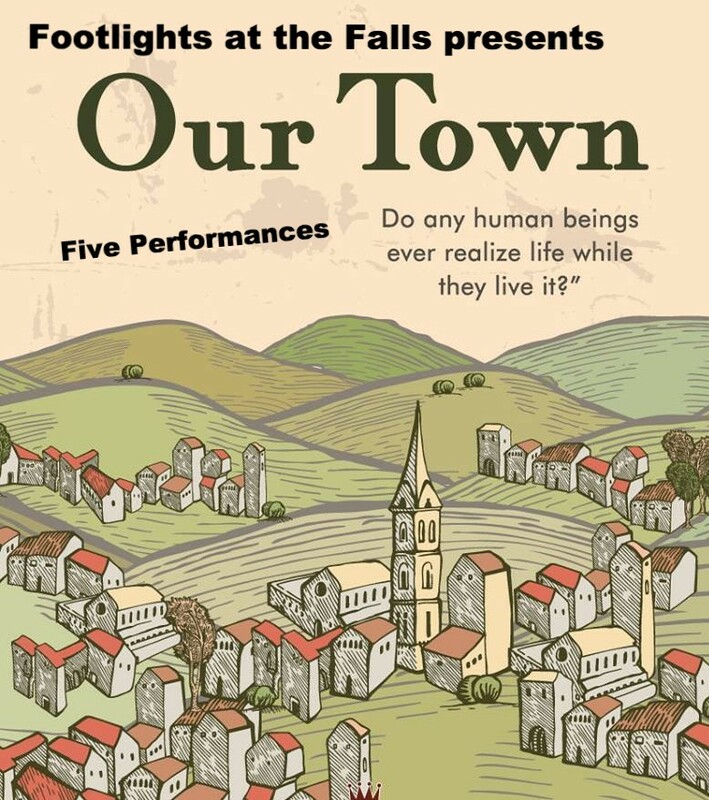 “I am thrilled with how many talented people from town auditioned and were cast,” said Shelburne resident Jackie Walsh, founder of Footlights at the Falls, and producer of the play. Directed by Nicole LaRoche of Shelburne, the play takes place in Grover’s Corners, NH in 1904 and focuses on the lives of two families in the community, the Gibbs and the Webbs. “The opportunity to direct this classic American play has been such a blessing. Wilder’s words resonate as deeply today as when written and together the cast and I have been discovering what they mean to us in our own towns. I am so pleased to be able to share our emotional journey with the community we love.” La Roche said. Shelburne and West County residents will see plenty of familiar people in the play, whether its a barista from Mocha Maya’s coffee shop, a clerk at the post office, the woman who drives a school bus, a girl who rides the bus, or a man they see running the streets of the village. Walsh began Footlights at the Falls three seasons years ago to bring theater back to Shelburne Falls at Memorial Hall, which has seen little live theater on its stage since West County Players closed its doors nearly 20 years. So far, the group has put on Later Life and Dixie Swim Club. Wilder’s Our Town is its first show with a big cast (20 people). Footlights at the Falls is grateful for the organizational guidance and partial financial support of the Memorial Hall Association Board of Directors over the past three years, Through the Massachusetts Cultural Council, a state agency, local cultural councils of Ashfield, Buckland, Colrain, Cummington, Charlemont-Hawley, Heath, Rowe, Goshen, Plainfield, and Shelburne also help fund this production of Our Town.